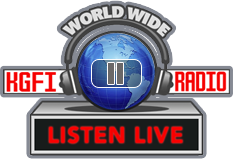 This site is owned and managed by KGFI INTERNET RADIO (KGFI). Certain products or services offered by this Website may be governed by additional terms (“Additional Terms”) presented in conjunction with those products or services. You must agree to these Additional Terms before using those areas. The Additional Terms and this Agreement shall apply equally. In the event of an irreconcilable inconsistency between the Additional Terms and this Agreement, the Additional Terms shall control. YOU MAY NOT USE KGFI INTERNET RADIO WEBSITE FOR ANY PURPOSE THAT IS UNLAWFUL OR PROHIBITED BY THIS AGREEMENT AND/OR ANY APPLICABLE ADDITIONAL TERMS. YOUR ACCESS TO KGFI INTERNET RADIO WEBSITE MAY BE TERMINATED IMMEDIATELY AT KGFI INTERNET’S SOLE DISCRETION, WITH OR WITHOUT NOTICE, IF YOU FAIL TO COMPLY WITH ANY PROVISIONS OF THIS AND/OR ADDITIONAL TERMS, OR FOR ANY OTHER REASON, OR NO REASON. This Agreement is effective as of April 14, 2011. KGFI Internet Radio reserves the right, in its sole discretion, to modify, alter, or otherwise change this Agreement and/or the Additional Terms at any time. KGFI Internet Radio will provide notice of such change on Website. Please review this Agreement and/or Additional Terms periodically for changes. Your continued use of the Website constitutes your acceptance and agreement to be bound by these changes without limitation, qualification or change. If at any time you do not accept these changes, you must immediately discontinue use of Website. If a particular Website requires you to open an account, you must complete the specified registration process by providing us with current, complete, and accurate information as requested by the applicable online registration form. It is your responsibility to maintain the currency, completeness, and accuracy of your registration data and any loss caused by your failure to do so is your responsibility. After you have fully completed the registration form, you may be asked to choose a password and a user name. It is entirely your responsibility to maintain the confidentiality of your password and account. Additionally, you are entirely responsible for any and all activities that occur under your account. You agree to notify KGFI immediately of any unauthorized use of your account. KGFI is not liable for any loss that you may incur as a result of someone else using your password or account, either with or without your knowledge. You may cancel your account by delivering notice in the manner provided in the Additional Terms governing the Internet Service. Except where otherwise provided, access to and use of this Website are currently available without charge. KGFI Internet Radio reserves the right to charge a fee for access to or use of this Website. Your access to or use of this Website, before such time does not entitle you to use of this Website without charge in the future. YOUR USE OF, AND RELIANCE ON, ANY ADVICE OR INFORMATION OBTAINED FROM OR THROUGH THIS WEBSITE IS AT YOUR OWN RISK. ALL CONTENT, INCLUDING SOFTWARE, PRODUCTS, SERVICES, INFORMATION, TEXT AND RELATED GRAPHICS CONTAINED WITHIN OR AVAILABLE THROUGH THIS CLE WEBSITE ARE PROVIDED TO YOU ON AN “AS IS,” “AS AVAILABLE” BASIS. KGFI MAKES NO REPRESENTATIONS OR WARRANTIES OF ANY KIND, EITHER EXPRESS OR IMPLIED, AS TO THE OPERATION OF THIS WEBSITE OR THE INFORMATION, CONTENT OR MATERIALS INCLUDED ON THIS WEBSITE. TO THE FULLEST EXTENT PERMISSIBLE PURSUANT TO APPLICABLE LAW, KGFI DISCLAIMS ALL REPRESENTATIONS AND WARRANTIES OF ANY KIND, EITHER EXPRESS OR IMPLIED, INCLUDING, BUT NOT LIMITED TO, THE IMPLIED WARRANTIES OF MERCHANT ABILITY OR SATISFACTORY QUALITY, FITNESS FOR A PARTICULAR PURPOSE, WORKMANLIKE EFFORT, INFORMATIONAL CONTENT, TITLE, OR NON-INFRINGEMENT OF THE RIGHTS OF THIRD PARTIES. KGFI DOES NOT WARRANT OR MAKE ANY REPRESENTATIONS THAT THIS WEBSITE WILL OPERATE ERROR-FREE OR UNINTERRUPTED, THAT DEFECTS WILL BE CORRECTED, OR THAT THIS WEBSITE AND/OR ITS SERVER WILL BE FREE OF VIRUSES AND/OR OTHER HARMFUL COMPONENTS. KGFI DOES NOT WARRANT OR MAKE ANY REPRESENTATIONS REGARDING SUITABILITY, AVAILABILITY, ACCURACY, RELIABILITY, COMPLETENESS, OR TIMELINESS OF ANY MATERIAL OF ANY KIND CONTAINED WITHIN THIS WEBSITE FOR ANY PURPOSE, INCLUDING SOFTWARE, PRODUCTS, SERVICES, INFORMATION, TEXT AND RELATED GRAPHICS CONTENT. KGFI IS NOT RESPONSIBLE FOR ANY FAILURES CAUSED BY SERVER ERRORS, MISDIRECTED OR REDIRECTED TRANSMISSIONS, FAILED INTERNET CONNECTIONS, INTERRUPTIONS IN THE TRANSMISSION OR RECEIPT OF TICKET ORDERS OR ANY COMPUTER VIRUS OR OTHER TECHNICAL DEFECT, WHETHER HUMAN OR TECHNICAL IN NATURE. This Website may contain links to websites operated by third parties. KGFI does not monitor or control the linked sites and makes no representations regarding, and is not liable or responsible for the accuracy, completeness, timeliness, reliability or availability of, any of the content uploaded, displayed, or distributed, or products, or services available at this site. If you choose to access any third party site, you do so at your own risk. The presence of a link to a third-party site does not constitute or imply KGFI’s endorsement, sponsorship, or recommendation of the third party or of the content, products, or services contained on, or available through, the site. Any software that is made available to view and/ or download in connection with a KGFI Internet Service (“Software”), including podcasts, audio streaming, or video streaming, is owned or controlled by KGFI and/or licencors, affiliates and suppliers and is protected by copyright laws and international treaty provisions. Your use of the Software is limited to private, non-commercial use and is governed by the terms of the end user license agreement, if any, which accompanies or is included with the Software. KGFI accepts no responsibility or liability in connection with any Software owned or controlled by third parties. This Website may enable you to order and receive products, information and services from businesses that are not owned or operated by KGFI. The purchase, payment, warranty, guarantee, delivery, maintenance, and all other matters concerning the merchandise, services or information, opinion or advice ordered or received from such businesses are solely between you and such businesses. KGFIdoes not endorse, warrant, or guarantee such products, information, or services, and is not liable for the accuracy, completeness, or usefulness of such information or the quality of availability of such products or services. KGFI will not be a party to or in any way responsible for monitoring any transaction between you and third-party providers of such products, services, or information, or for ensuring the confidentiality of your credit card information. Any separate charges or obligations you incur in your dealings with these third parties are your responsibility and are not part of the fee, if any, charged for the KGFI Internet Service. KGFI reserves the right, in its sole discretion, to modify, suspend, or terminate this Website and/or any portion thereof, including any KGFI Internet Service, and/or your account, password, or use of any KGFI Internet Service, or any portion thereof, at any time for any reason with or without notice to you. Termination of your account removes your authorization to use the KGFI Internet Service. In the event of termination, you will still be bound by your obligations under this Agreement and any Additional Terms, including the warranties made by you, and by the disclaimers and limitations of liability. Additionally, KGFI shall not be liable to you or any third-party for any termination of your access to KGFI Internet Service. This Website may offer certain interactive components such as bulletin boards, chat rooms, blogs, and forums. Additional terms may cover these services, which will appear on the pages where these services are available and can be found here. KGFI Internet Radio Website may offer certain Subscription Services. By registering for a Subscription Service, you will be subject to any charges and rules set forth in the description of that service Subscription Services, may be offered to you conditioned on your payment of a fee. For Additional Terms applying to all contests or sweepstakes conducted by this Website, refer to this site’s contest or sweepstakes information. In no event shall KGFI Internet Radio, its subsidiaries, affiliates, distributors, suppliers, licencors, agents or others involved in creating, sponsoring, promoting, or otherwise making available to this Website and its contents, be liable to any person or entity whatsoever for any direct, indirect, incidental, special, compensatory, consequential, or punitive damages or any damages whatsoever, including but not limited to: (i) loss of goodwill, profits, business interruption, data or other intangible losses; (ii) your inability to use, unauthorized use of, performance or non-performance of the KGFI Website; (iii) unauthorized access to or tampering with your personal information or transmissions; (iv) the provision or failure to provide any service; (v) errors or inaccuracies contained on the KGFI Website or any information, software, products, services, and related graphics obtained through the Website; (vi) any transactions entered into through this Website; (vii) any property damage including damage to your computer or computer system caused by viruses or other harmful components, during or on account of access to or use of this Website or any site to which it provides hyperlinks; or (viii) damages otherwise arising out of the use of the Website. The limitations of liability shall apply regardless of the form of action, whether based on contract, tort, negligence, strict liability or otherwise, even if KGFI has been advised of the possibility of damages. You agree to indemnify, defend, and hold harmless KGFI Internet Radio, its subsidiaries, agents, distributors and affiliates, and their officers, directors and employees from and against any and all claims, actions, demands, liabilities, costs and expenses, including, without limitation, reasonable attorneys’ fees, resulting from your breach of any provision of this Agreement, the Additional Terms, or any warranty you provide herein, or otherwise arising in any way out of your use of this Website. KGFI reserves the right to take exclusive control and defense of any such claim otherwise subject to indemnification by you, in which event you will cooperate fully with KGFI Internet Radio in asserting any available defenses. Accessing materials on this Website by certain persons in certain countries may not be lawful, and KGFI makes no representation that materials on this Website are appropriate or available for use in locations outside the United States. If you choose to access this KGFI Website from outside the United States, you do so at your own risk and initiative, and are responsible for compliance with any applicable local laws. The United States controls the export of any software downloadable from this Website. No software or any other materials associated with KGFI Website may be downloaded or otherwise exported or re-exported to countries or persons prohibited under export control laws, including but not limited to countries against which the United States has embargoed goods, or to anyone on the U.S. Treasury Department list of Specially Designated Nationals and Blocked Persons or the U.S. Commerce Department’s Table of Deny Orders. You are responsible for compliance with the laws of your local jurisdiction regarding the import, export, or re-export of any such materials. By using and/or downloading any such materials from KGFI Website, you represent and warrant that you are no located in, under the control of, or a national or resident of any such country to which such import, export, or re-export is prohibited or are not a person or entity to which such export is prohibited. This statement informs you of KGFI Internet Radio practices with respect to the online collection, use, and disclosure of personal information from this KGFI Website. Personal information is information that allows us to contact you (such as email address, home address, or telephone number) or other information that, when linked to your name or contact information, allows us to personalize your visit to our site by providing you with information that suits your interests. KGFI Internet Radio is the owner of this website and retains all ownership rights to the information collected at this site. KGFI reserves the right to change, modify, add, or remove provisions of this Privacy Statement. Any changes to this Privacy Statement will be posted here, and we encourage you to check back from time to time. We may use the contact information you give us to better tailor your website experience to your interests, to request your opinions with respect to media and entertainment, and to send you information about KGFI and its services as well as promotional material on behalf of some of our partners. We may use information that you provide to us to inform you of content on the web, radio and other methods of content delivery, in which you may be interested and to provide or display the content according to your preferences. To enhance KGFI’s ability to tailor this site to your preferences, we may combine information that you provide us on registration and other online sign-up forms with other information about you that we may obtain. We do not share that information with any other party. This KGFI Website may offer shopping services, which may be offered by us or by a firm that operates a store under contract with us. If our site offers shopping or other commercial services, you will use a customer order form to request information, products, and services. The order form will ask you to give us contact information (like name or email address), financial information (like account or credit card numbers), and demographic information (like zip code or age). From time to time we may enter into a special relationship with another company that is not owned by KGFI to provide additional features at this site. These special relationships may include partners, business partners, sponsors, and co-branded sites (referred to here as “co-branded pages”). These might include, for example, pages that share our name and that of another entity, such as TicketMaster. You should look for a specific privacy statement on any such co-branded page. Any personal information that you provide when signing up at one of those co-branded pages may be shared with our third party partner. You should also check our partner’s website for information regarding its privacy policies. Also, the nature of some features of our site may require that we share personal information about you with persons or companies outside of the KGFI family. For example, this may occur at a feature that enables you, via our site, to ask questions of persons or entities that are not part of the KGFI family. By responding to those features of the site, whether by email or direct entry of information on our Website, you are consenting to our transferring that information to such persons or entities. Finally, we may share any of the information collected from you with these other non-KGFI companies in an aggregate basis. The aggregated information is not linked to any information that can identify you. IP Address and Log Files We may use your IP address to administer our Website, to help diagnose problems with our server, to analyze trends, to track users’ webpage movements, to help identify you and your shopping cart, and to gather broad demographic information for aggregate use. KGFI employs reasonable security measures consistent with standard industry practice, for information collected through this website. We believe that we have adequate security measures in place in our physical facilities to protect against the loss, misuse, or alteration of the information we collect on our website. We also use internal protections to limit access to users’ personal information to only those employees who need the information to perform a specific task. You should be aware that KGFI may be required to disclose your personal information to the government or third parties under certain circumstances, such as in court or regulatory proceedings. If you have any questions about this privacy statement, the practices of this site, or your dealings with this website, you can contact KGFI Internet Radio. The recipients of these emails will not be able, in general, to answer concerns regarding on-air programming, promotions or other non-web related issues. This Agreement and the Additional Terms shall be governed by, construed and enforced in accordance with the laws of the State of California, as it is applied to agreements entered into and to be performed entirely within such state, without regard to conflict of law principles. You agree that any cause of action you or KGFI brings to enforce this Agreement and/or the Additional Terms, or in connection with any matters related to this Website and/or the Privacy Statement, shall be brought only in either the state or Federal courts located in Los Angeles, California .You agree to submit to the personal jurisdiction of the courts of the State of California for any cause of action arising out of this Agreement. You agree to file any cause of action with respect to this Agreement within one year after the cause of action arises. You agree that a cause of action filed after this date is barred. If any provision of this Agreement, or the application thereof to any person or circumstances, is held invalid or for any reason, unenforceable including, but not limited to, the warranty disclaimers and liability limitations, then such provision shall be deemed superseded by a valid, enforceable provision that matches, as closely as possible, the original provision, and the other provisions of this Agreement shall remain in full force and effect. The failure of either party to insist upon strict performance of any provision of this Agreement shall not be construed as a waiver of any provision or right. Unless expressly provided otherwise, this Agreement is the entire agreement between you and KGFI with respect to the use of this Website and shall not be modified except in writing, signed by an authorized representative of KGFI Internet Radio. This website is governed by and operated in accordance with the laws of United States of America. KGFI makes no representation that this website is governed by or operated in accordance with the laws of other nations. By using this site and submitting any personal information, visitors from outside of the United States acknowledge this site is subject to U.S. law, consent to the transfer of personal data to the U.S., and waive any claims that may arise under their own national laws. The KGFI Website, and all of its contents, including but not limited to articles, other text, photographs, images, illustrations, graphics, video material, audio material, including musical compositions and sound recordings, software, KGFI logo, titles, characters, names, graphics and button icons (collectively “Intellectual Property”), are protected by copyright, trademark and other laws of the United States, as well as international conventions and the laws of other countries. The Intellectual Property is owned or controlled by KGFI or by other parties that have provided rights thereto to KGFI. You may not, and agree that you will not, reproduce, download, license, publish, enter into a database, display, modify, create derivative works from, transmit, post, distribute or perform publicly by any means, method, or process now known or later developed, decompile, reverse engineer, disassemble, use on another computer-related environment, transfer or sell any Intellectual Property, information, software or products obtained from or through this Website, in whole or in part, without the express written permission of KGFI Internet Radio. Other trademarks, service marks, product names and company names or logos appearing on this Website that are not owned by KGFI may not be used without express permission from their owners. Additionally, unless otherwise expressly permitted, websites may not hyperlink to any page beyond the homepage of this Website, or frame this KGFI Websitein an email for commercial purposes, without the express written permission of KGFI Internet Radio or any web page or material herein, nor may any entity include a hyperlink to any aspect of this Website. KGFI Internet Radio respects the intellectual property rights of third parties, and complies with the terms of the Digital Millennium Copyright Act (DMCA) regarding such rights. By submitting any material or photographs through this Website, you are granting permission to have this material posted on this Website, and are representing that you are the rightful owner of the submitted material, and that no one else may claim rights to this material. KGFI reserves the right to remove access to infringing material. Such actions do not affect or modify any other rights KGFI may have under law or contract. You can find our procedures for providing notice of alleged copyright infringement here. Pursuant to 17 U.S.C. § 512(c), to be effective, the Notification must include the following: (i) A physical or electronic signature of a person authorized to act on behalf of the owner of an exclusive right that is allegedly infringed. (ii) Identification of the copyrighted work claimed to have been infringed, or, if multiple copyrighted works at a single online site is covered by a single notification, a representative list of such works at that site. (iii) Identification of the material that is claimed to be infringing or to be the subject of infringing activity and that is to be removed or access to which is to be disabled, and information reasonably sufficient to permit KGFI to locate the material. (iv) Information reasonably sufficient to permit KGFI to contact the complaining party, such as an address, telephone number, and, if available, an email address. Deliver any unsolicited advertisement, promotional materials, junk email, bulk email (also known as “spam”), chain letters, surveys or contests, or solicit participation in any pyramid schemes (unless it is on a page that explicitly states that such postings are allowed on that page). Deliver any unlawful (according to local, state, federal, or international law or regulation) postings to or through this Website, or any postings which advocate illegal activity. Deliver, or provide links to, any postings containing material that could be considered harmful, obscene, pornographic, indecent, lewd, violent, abusive, profane, insulting, threatening, harassing, hateful or otherwise objectionable. Deliver, or provide links to, any postings containing material that harasses, victimizes, degrades, or intimidates an individual or group of individuals on the basis of religion, race, ethnicity, sexual orientation, gender, age, or disability. Deliver, or provide links to, any postings containing defamatory, false or libelous material. Deliver any posting that infringes or violates any intellectual property or other right of any entity or person, including, without limitation, copyrights, patents, trademarks, laws governing trade secrets, rights to privacy, or publicity. Deliver any posting to that you do not have a right to make available under law or contractual or fiduciary relationships. Impersonate another person or entity or falsely state or otherwise misrepresent your affiliation with a person or entity, or adopt a false identity if the purpose of doing so is to mislead, deceive, or defraud another. Manipulate identifiers, including by forging headers, in order to disguise the origin of any posting that you deliver. Use of this Website/Service in any manner which damage, disable, overburden, or impair or otherwise interfere with the use of this Website or other users’ computer equipment, or cause damage, disruption or limit the functioning of any software, hardware, or telecommunications equipment. Attempt to gain unauthorized access to this Website, any related website, other accounts, computer system, or networks connected to this Website, through hacking, password mining, or any other means. Obtain or attempt to obtain any materials or information through any means not intentionally made available through this Website, including harvesting or otherwise collecting information about others such as email addresses. You are solely responsible and liable for postings delivered to this KGFI Website using your account. Any violation of these provisions can subject your KGFI account to immediate termination and, possibly, further legal action. KGFI does not control and is not responsible for any notes, messages, billboard postings, ideas, suggestions, concepts or other material, or files delivered to this website by you or other users. KGFI is not obligated to and does not regularly review, monitor, delete, or edit postings. However, KGFIreserves the right to do so at any time in its sole discretion, for any reason or no reason, and to delete or edit any posting with or without notice. KGFI is not responsible or liable for damages of any kind arising from any postings even when KGFI is advised of the possibility of such damages, or from KGFIs alteration or deletion of any posting. The information and opinions expressed in postings on this Website are not necessarily those of KGFI advertisers, sponsors, affiliated or related entities, and KGFI makes no representations or warranties regarding l or its content providers that information or those opinions. KGFI does not represent or guarantee the truthfulness, accuracy, or reliability of any postings or determine whether the postings violate the rights of others. You acknowledge that any reliance on material posted by other users will be at your own risk. Unless otherwise provided, all postings to this Website automatically and immediately become the property of KGFI without any obligation of confidentiality. KGFI shall be entitled to use the material for any type of use forever including in any media whether now known or later devised. If any court determines that KGFI does not retain exclusive ownership of any posting, then you hereby expressly grant to KGFI a royalty-free, perpetual, irrevocable right to use, reproduce, adapt, modify, publish, edit, translate, perform, transmit, sell, sublicense or otherwise distribute and display the Posting for any reason, including for promotional and advertising purposes, alone or as a part of other works in any form, medium or technology now known or later developed, and you waive all moral rights in all such postings. KGFI will provide notice of any charges, or extra charges, before you register for or enter a premium area. You are responsible for any charges for premium content incurred by your account. We are not liable for any loss that you may incur as a result of someone else using your password or account, whether with or without your knowledge. In the event that you pay for a premium service by credit card, you authorize us to charge your credit card account by registering for the service and providing us with your credit card information. You warrant to us that the credit card information that you provide us is correct and is your account. KGFI Internet Radio may from time to time change the terms and conditions governing this premium service. It is important that you regularly review these terms and conditions to stay informed with regard to any changes in the terms and conditions governing your use of this premium service. Your continued use of this premium service constitutes your agreement to all such terms and conditions.